John Peacock was born about 1712 in Wayne County, North Carolina and died about 1791 in Wayne County, North Carolina. Dates for birth and death are estimated. He lived to be about 79 years old. He and his brother Samuel, had land grants in the Nahunta Swamp (now Fremont) NC in Wayne Co. It is believed that John Peacock lived in a Quaker community in North Carolina. At least two of his sons, Abraham and Simon, may also have belonged to the Quaker sect for at least a period of time. Samuel & John Peacock of Northampton, NC to Robert Warren of Surry Co, Va. 33 pds, 10 shillings, Va. money, 100 Acres more or less S/S Meherrin River, joining the river, Robert Sherard, the Cypress swamp, the pocosin, and the low ground, all houses, orchards, gardens, etc. Wit: James Washington, William Pilant, James Washington, Jr.
Grant for 200 acres of land on the north side of Nahunta Swamp. A True and perfect Inventory of the Estate of John Peacock decd. 8 Negroes, 7 Head Horses, 17 Head Cattle, 71 Head Hogs, 22 Head Sheep, 3 feather Beds and furniture, 1 pine chest, 1 Table, 1 pr Sheep Shares, 1 pair Stilliards, 1 Wooling Wheel, 2 linen dittos, 1 whip saw & file, 2 pair Cards, 6 Chairs, 11 pewter plates, 4 pewter dishes, 2 pewter basons, 1 smooth board Gunn, 1 saddle and bridle, 1 candle stick, 3 books, 3 knives & 5 forks, 1 Gimblet, 1 Handsaw, file and rest, parcel wareing cloths, 3 plow hoes, 5 weeding hoes, 2 grubing hoes, 2 slow stocks, 1 narrow axe, 1 Claw Hammer, 2 drawing knives, 1 Cooper shovell, 1 frow, 1 carpintor's addzes, 1 chissells, 2 old augers, pair iron wedges, 1 Grind stone, 1 Cart and wheels, 1 Copper still, worm and cap, 2 Iron pots & hooks, 1 Iron skillet, 1 frying pan, 2 pails and 1 piggen, 1 washing Tubb, 1 wooden can, 1 stone Jugg, 2 butter potts, 1 Glass bottle, 1 half bushell measure, 4 sides leather, 6 cow hides, parcel cyder casks, quantity corn and fodder, 1 pair shares, quantity of wool cotton and flax, �127.19.6 money in the house at his death, 7 silver dollars and five pister__ns in the House at his death, 1 branding Iron, 1 Iron spice morter and pestle, 1 comb, 1 Flax brake, 1 Razor, 1 pair fire Tongues, 1 Cow bell, 1 dowell bitt, 1 Round Share, 1 pair phlemes, 1 stock lock, 1 taper bitt, 1 side saddle, 1 Chairm, small quantity of wheat, small quantity of bacon. 40 1752 Great Britain adopts the Gregorian calendar on 9/14/1752. 71 1783 The hot air balloon is invented by Michel and Montgolfier and the first people in modern history fly at an altitude of 1800 m.
73 1785 The power loom was invented by Cartwright to produce cloth. 37 1749 Laws in GA prohibiting the importation of slaves are rescinded. Georgia planters were hiring SC slaves for life and even openly purchasing slaves at the dock in Savannah. 63 1775 NEWS HEADLINES: On April 18th, Paul Revere makes his famous ride proclaiming "The British are Coming" and the American Revolution War begins. Britain hires 29,000 German mercenaries to handle conflict in North America. 64 1776 NEWS HEADLINES: July 4th, American Revolution War ends and the United States of America is officially created. 6 1718 Blackbeard, the pirate is killed off the North Carolina coast. 7 1719 By 1719, North Carolina and South Carolina have separated into two colonies. 55 1767 Tryon Palace is build in New Bern, NC, and becomes the capitol building for the North Carolina colonist. 77 1789 The capitol of North Carolina moves from New Bern to Raleigh and North Carolina becomes the 12th state of the United States of America. 20 1732 James Oglethorpe establishes the Georgia Colony in the new world. The new settlers form friendships with the Creek Indian Nation towns in this area. Georgia is the thirteen English colony to be settled. 38 1750 Charleston, SC, has become the most affluent and largest city in the South. It is the leading port and trading center for the southern colonies. 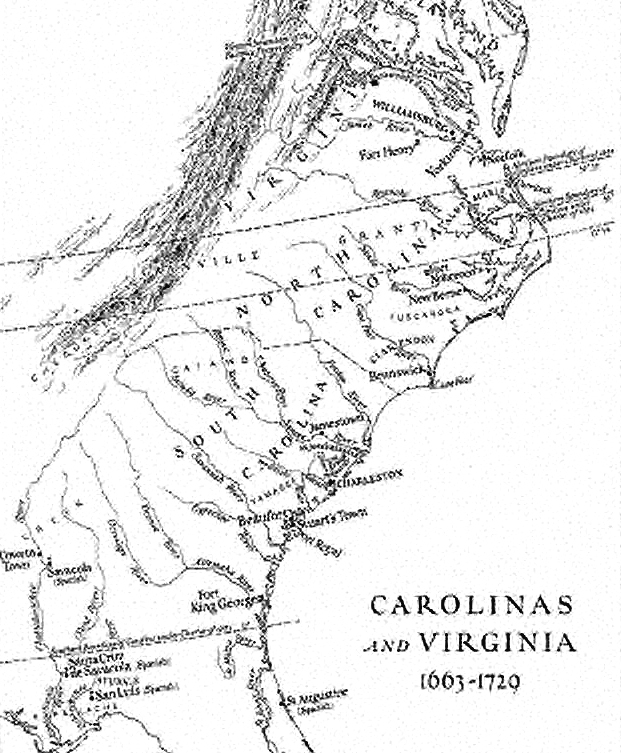 The population in the Carolinas has exceeded 100,000 with many French Protestant Huguenots. The wealth plantation owners bring private tutors from Ireland and Scotland. Public education does not exist. 48 1760 The Cherokee War (1760-61) ends in a treaty that opens the Up County for settlement. The Bounty At of 1761 offers public land tax free for ten years, and settlers from other colonies begin pouring into the Carolina "Up Country". 51 1763 Georgia Gazette begins publication. It is the first newspaper in Georgia and the eighth newspaper in the English colonies. 61 1773 Angered by the tea tax of 1767 and the British East India Company's monopoly on tea trade, the independent New England colonial merchants dump the precious cargo overboard into the Boston harbor. This incident is called the Boston Tea Party. 62 1774 The First Continental Congress of fifty-five representatives (except from the colony of Georgia) meets in Philadelphia to discuss relations with Britain, the possibility of independence, and the hope of a peaceful solution. King George III scorns the thought of reconciliation and declares the colonies to be in a state of open rebellion. 63 1775 On April 18th, Paul Revere makes his famous ride proclaiming "The British are Coming" and the American Revolution War begins. Britain hires 29,000 German mercenaries to handle conflict in North America. 64 1776 July 4th, American Revolution War ends and the United States of America is officially created. 52 1764 Britain passes the Sugar Act forbids American importation of foreign rum and taxing imported molasses, wine, silk, coffee, and a number of other luxury items. Born in Johnson County, North Carolina about 1745 and died in an unknown location about 1824. He was about 79 years old. Born in Jackson County, North Carolina about 1747 and died in Johnson County, North Carolina about 1804. He was about 57 years old. Born in Jackson County, North Carolina about 1749 and died in an unknown location about 1810. She was about 61 years old. Born in Jackson County, North Carolina about 1751 and died in Jefferson, Georgia about 1804. She was about 53 years old. Born in Wayne County, North Carolina about 1753 and died in Wayne County, North Carolina about 1831. He was about 78 years old. Born in Wayne County, North Carolina about 1755 and died in Wayne Co., North Carolina about 1829. He was about 74 years old. 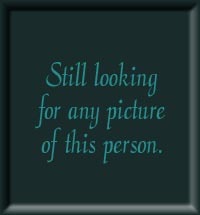 Born in Wayne County, North Carolina about 1757 and died in Randolph, North Carolina about 1831. He was about 74 years old. Born in Wayne County, North Carolina about 1759 and died in an unknown location about 1790. She was about 31 years old.